I'm Alison (on the off chance you couldn't guess that from the name of my blog). I review Young Adult novels with a few Middle Grade books and a weekly manga feature. *Thanks to Teen Book Scene for both books! *Thanks to Fox for giving me a review copy for an upcoming book/movie comparison! So excited! Ooooh, I've been wanting to read these books~ I have Water for Elephants on hold in my library and I really want Cracked. It seems so awesome~ Anyway, great hall! Thank you for sharing, and happy reading! Can't wait to read Shattered Souls. -Wendy from A Cupcake and a Latte. Oh I so want Shattered Souls. Would kill for it. Good books. A little jealous, but in a good way. Come check out my mailbox over at Livre De Amour-Books of Love Blog. I am obsessed with the BDB books! I was just thinking of re-reading them. Very jealous of Cracked. I've requested it to review it, but I don't think I am going to get it. I hope that you enjoy your new books! I can't believe they gave you a DVD ! How awesome. I read Water for Elephants over the summer and I'm not sure if I want to see the movie. What with the animal cruelty and all. water for elephants!! woohooo!! i'm jealous! 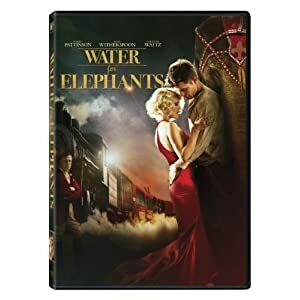 When I first started up my blog, a friend suggested I read Water for Elephants - I haven't gotten a copy yet, though, because I don't like to have the movie covers for my books. I'm picky! I hear it's really great, though, so I hope I can find an edition with a non-movie cover soon. Great books this week, Alison. I'm so jealous that you got Shattered Souls! I've had JR Ward on my TBR list forever, but still haven't actually read any! Great mail! Cracked looks really good & I've been dying to get my hands on Shattered Souls. My IMM will be up shortly (just have to upload the pics) if you'd like to stop by. I just started my blog this past week. I'm so jealous of Shattered Souls I've wanted to read this for quite some time. Ooh nice Water for Elephants dvd! I loved both the book and the movie and can't wait to read your feature. Shattered Souls is awesome & I hope you like it too. I haven't heard of Cracked but I'm looking forward to reading more about it. You're in for some fun with the BDB books. Enjoy all your new reads! Shattered Souls and Cracked are both on my wishlist. It looks like you got some great books this week! cracked seems interesting, and lucky I have yet to watch the movie version of Water For Elephants, but I LOVED the book, and just realized that I don't have on blog as a favorite book of mine. I love that cover for Cracked. Simple, yet effective. Awesome books this week!I haven't read any of the titles you mentioned. A lot of them I'm excited to read though! Hope you enjoy them all! Happy reading! Shattered Souls has such a gorgeous cover! Awesome books this week - hope you enjoy them all! Shattered Souls sounds like such a great book. Hope you enjoy it! Wonderful haul! ooh, Cracked looks really dramatic! I wouldn't mind giving that a try. Shattered Souls!! Isn't the cover so gorgeous? <3 So excited to read that. I shall try to contain my jealousy and not break into your house and steal it :P Awesome haul, hope you enjoy! I've heard some pretty good things about SHATTERED SOULS. Hope you enjoy it! Not bad! Haven't read any of those. Hope you enjoy them all along with your movie! Enjoy all your new reads. Also, it's awesome that you got a DVD to review as well! I really want to read Cracked and Shattered Souls! YAY for Shattered Souls! I <3 the BDB series! Good choices on the Black Dagger Brotherhood series. Those books are amazing =) You really can't go wrong with warrior vampires like them. Great haul! And you have Shattered Souls?! I'm so jealous! I hope you enjoy all of them. Thanks for stopping by The Bookish Babes! I've been really curious about Cracked. Enjoy. I am dying to read Shattered Souls! I really want to read Water For Elephants as well, as I loved the movie. I just need to find the time. Prepare some tissues, because the movie made me bawl my eyes out! Great mailbox and I loved BDB too. Hey we need to meet up now ?? So jealous about the DVD of Water for Elephants!!! I LOVED the book, but wasn't able to go see the movie in the theater. Shattered Souls looks interesting. Maybe I'll get around to it soon. Enjoy all of those fabulous reads. Oh my goodness.... I'm totally jealous that you got the Water for Elephants DVD!!!! I want it so bad! Looking forward to seeing what you think of Shattered Souls! I love that cover! Enjoy! 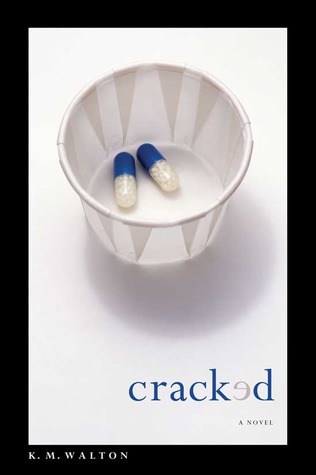 Cracked is my kind of book and I can't wait to read it, I hope it's good! And the cover for Shattered Souls has to be even prettier in person, I love it! Shattered Souls sounds good, and the cover is really cool. I haven't read any JR Ward. I haven't seen Water for Elephants but I've heard it's good! Shattered Souls looks super good! I loved Dark Lover, but haven't continued with the series yet. Hope you enjoy them! And I'm a tiny bit jealous of Shattered Souls. It's release date can't come fast enough. I keep putting off water for elephants for some reason. Id love to know how you find it! Cracked and Shattered Souls both look really great. Seems like you have a good week for picking up some books! LOVE the BDB books! And you got Shattered Souls - I can't wait for this one! Hope you enjoy your books! Shattered Souls!!! I can't wait to get my hands on that one! It sounds absolutely amazing and that cover is just gorgeous. Hope you enjoy it! I love Water for Elephants but I haven't watched the film yet. I hope you enjoy it. Cracked sounds really good, I hadn't heard of it before! Shattered Souls sounds really interesting too. Looking forward to your reviews! I see the BDB novels and I sign in contentment (is that even a word? 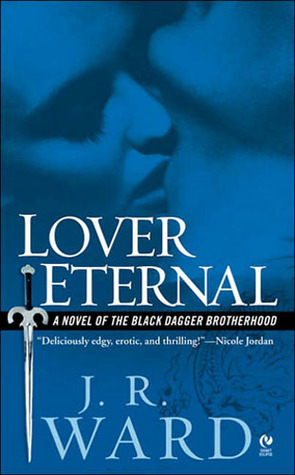 ), anywho, I loved Lover Eternal, and Lover Awakened, but there is something kind of special about Lover Revealed, even though it's not my favourite book of the series, and I didn't like the first time I read it, I love it now. So, enjoy!! Shattered Souls looks great! And ohh, BDB! Loved the first three. Enjoy! Thanks for stopping by Kindle Fever! The BDB books are great! Thanks for stopping by! I really want shattered souls, and I just love that cover. I have not read any of the BDB but they sound great. Great book! I loved the BDB series! Shattered Souls sounds absolutely fantastic and the cover is just gorgeous. Enjoy!!! Hells yeah! Black Dagger Brotherhood! Lover Awakened was my absolute favorite. I love Z. Broke and beautiful. Oh, please love it too. I need to get back into BDB sometime. I borrowed the first two from the libary back around June. Thanks for stopping over. Oh, BDB, how I love thee! Such great books! And lucky you getting the WAter for Elephants DVD early! Great week! I'm dying to get my hands on Shattered Souls! Can't wait to see what you think! Enjoy Water for Elephants! I haven't seen it yet, but I've heard it's really great! Have a great week! xoxo..
Cracked looks Amazing, I hope you enjoy it! God, Shattered Souls is so freaking pretty! One of my favorite covers of the year, hands down. Great books, from your stash I had only read the BDB series and I love them. 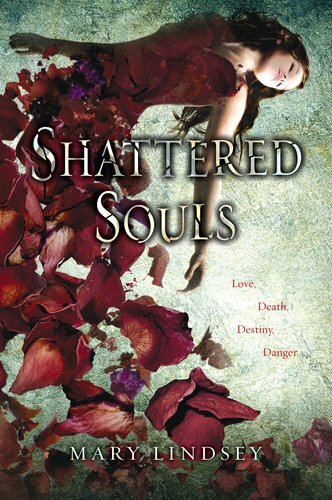 I´m going to include Shattered Souls to my TBR list. Wicked jealous of Shattered Souls!!! I'm dying to read that one!! Ah! I need to hurry and start that J.R Ward series! I keep hearing great things about it. Thanks for stopping by my IMM! I hope you enjoy all of your goodies! Happy Reading! I wasn't a fan Water for Elephants (the book) at all, but I still want to see the movie to see how it compares. Hopefully I will like it much more. Thank you for stopping by Book Cover Justice! I really enjoyed Shattered Souls and hope you do too. Water For Elephants was such a fun movie. I didn't know it was out yet so I'll have to grab myself a copy. Hope you have a great reading week! That cover for Shattered Souls is absolutely stunning! I want to read Shattered Souls so bad! And I'm super jealous that you got the Water for Elephants dvd, it sounds so good! Water for Elephants looks good but I am not a huge fan of Robert Patterson, so I have been butting it off..and I have not read the book either...you got lots of good looking books! Oh, I love the Black Dagger Brotherhood books! Yum yum yum ;) I hope you like them! Aww, I've really been wanting to read Shattered Souls! It sounds SO GOOD (and that cover is gorgeous!). And I've only heard amazing things about Water for Elephants (both the movie and the novel) so I'm excited to see whether you like it or not! Me and my sister have bought my mum Water for Elephants and I think she is still reading it :P And I kind of figure out that I prefer read the book first and then watch the movie. So I need to wait to my mum to finish it. Shattered Souls has such a beautiful cover! Great haul. Thanks for stopping by my IMM. Happy reading! I have been attracted to some of these books, too. Some sound really great and I am also anxious to read Water for Elephants. Super envious about Shattered Souls. You must let me know how it is! I still haven't seen Water for Elephants. I really want to! I've heard Shattered Souls is really good. I love J.R. Ward's novels. Enjoy and Happy Reading! Lovely books and I am so want J.R. Ward's books. Water for Elephants was a great book and they actually did a decent job with the movie! Shattered Souls & Cracked have always been in my wishlist! Hope you like them both! Ooo Water for Elephants! I'm looking forward to seeing that one. :) Hope you enjoy it. I really want to see Water For Elephants, so jealous. Wow, "Shattered Souls" has such a beautiful cover. I think a zillion people have probably said the same thing, but I just love the 'Shattered Souls' cover!! Quite a few BDB books to read - NICE. And a movie/book comparison feature is a really good ieda! Thanks for stopping by my blog! Shattered Souls looks like it is going to be a great one! Happy raeding! Thank you for stopping by my blog and happy reading!! Great week!! I can't wait to read Shattered Souls!! shattered souls has an awesome cover. and i LOVE jr ward. sigh. Ooh, I haven't seen Cracked before, it looks good! I'll have to check it out on amazon! I haven't read Water for Elephants but the book and the movie both look interesting, that's awesome you get to do a movie/book review, that's a cool opportunity! 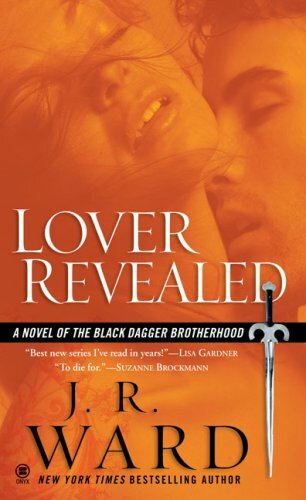 I haven't read the Black Dagger Brotherhood series but a few of my friends have and really liked it, I should look more into that and see if I can fit it into my reading pile somewhere, there's nothing better than getting lost in a good series! So jealous! Cracked & Shattered Souls are both on my wishlist. I hope you enjoy all your books this week. Oh, those are some amazing books! And the movie? Nice! Happy reading! I love that Cracked cover. I've never heard of it before. I think IMM's make me buy more books....vicious cycle! shattered souls has such a cool cover. loved the water for elephants book. curious to see how edward (i mean robert) does in the film. seen the movie for water for elephants, so many people say the book is better! I've never heard of Cracked. I'll have to check that one out. Looks like you got some steamy paranormal romance too! Thanks for stopping by my IMM earlier this week! Wow, great mailbox! So cool that Fox gave you a Water for Elephants for a book/movie comparison. Cracked and Shattered Souls look so good. Also, I've heard really good things about the BDB series. Enjoy! Excellent post and wonderful blog, I really like this type of interesting articles keep it u. I am really loving the theme/design of your web site. I really do appreciate all of this very cool and helpful information. I think That this was so much fun and really is very helpful.